Don’t make the mistake of throwing these packets again! 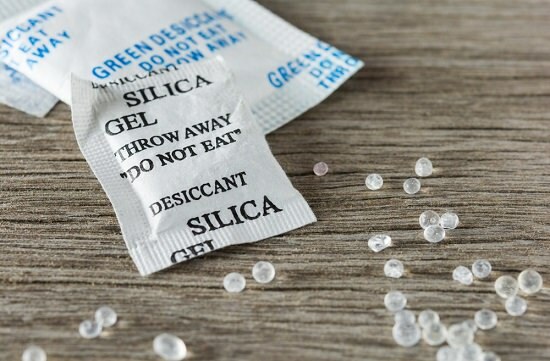 Here are 7 most clever other uses for silica gel to put them into good use. Silica gel is a form of silicon dioxide can be found inside a new pair of shoes, handbags, school bags, or any new product you buy. The label strictly prohibits its intake by stating that it’s poisonous or something. Although that’s merely a trick to keep children away from it since it can choke their food pipe. Yet we don’t advice you to eat it but even if you accidentally do so, it’s not a big deal! Back to the point, have you ever wondered why new products are packed with these mini bags? Well, it’s quite scientific as silicon has strong properties to eliminate humidity from its surrounding. And so it helps the products to keep them safe from humidity. We have a tendency to throw these silicon bags everytime we come across these. Due to its humidity absorbing properties, silicon has multiple uses to be put to all over your house. 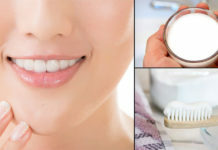 The other uses for silica gel that we are about to list are very practical and they can save your money unexpectedly. Go on with the list and never throw the silica gel packets again in your lifetime! If your jewelry isn’t old enough to get tarnished due to time, then probably it’s because of excess humidity. To avoid this, put a few bags of silica gel into your jewelry box. To save time, we often end up buying the food of our pets in heavy bulk at once. To make your pet food last longer than usual; tape a silica bag around the edge of the food packet. The camera lens can condense during winters when you take them to a warmer place but you can prevent this easily. First, remove the battery, memory card, and lens. Prepare a container with several silica gel packets and simply put your camera into it. Leave the camera for quite a time and silicon will absorb as much moisture as possible. While a kitchen is one among the most humid places in your home, you can’t just change the location of your spices. Keep your herbs and spices free of moisture with only one silicon bag. Tape a silica packet each to the inside of the container’s cap. Keep silica package inside the envelope of your important documents to prevent them from excess damage. If you accidentally drop your technological companion into the water, there’s probably no way to restore it back to life. But is this completely true? Probably not, because silica packets can help you with this. Remove the battery, memory and sim cards and place the phone between silicon packages in a container. Remember not to power on the phone before doing this procedure. Although rice is an alternative to this but this works better. It’s a common problem in winters that your clothes don’t dry up on time and you end up getting frustrated. If you have to go somewhere and your clothes are yet somewhat dry, silicon gel have got your back. Pack the clothes with some silicon gel bags and leave for your trip. By the time you’ll reach your destination your clothes will be dry enough to be wearable. Liked these other uses for silica gel? Share your thoughts in the comment section below.